These are among the best spots to see fall in the United States. 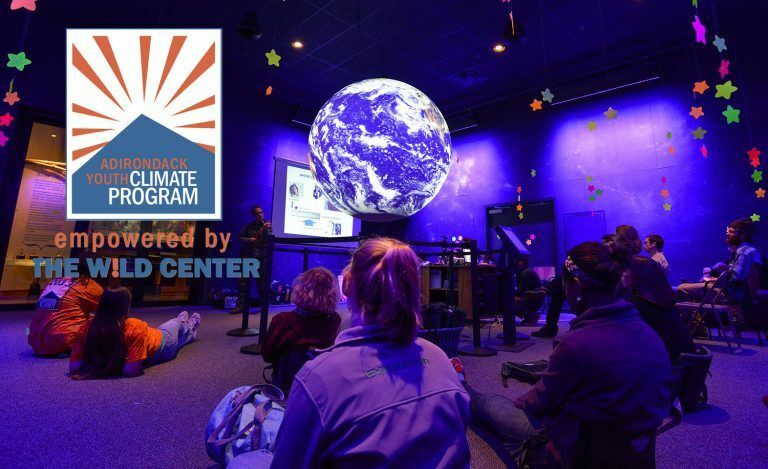 Our list was created by the naturalist staff at The Wild Center, so it’s made by people who know where to see the brightest views in the largest park in the lower 48 states. There’s a map link showing each recommended route at the bottom of each tour. 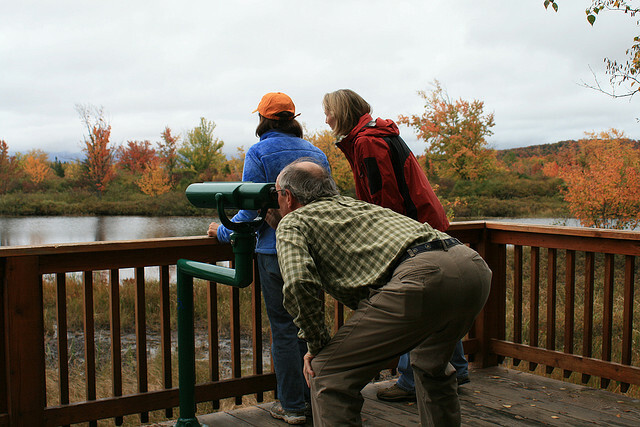 We hope to see you at The Wild Center to help you see even more of the amazing nature of the Adirondacks during your fall visit. 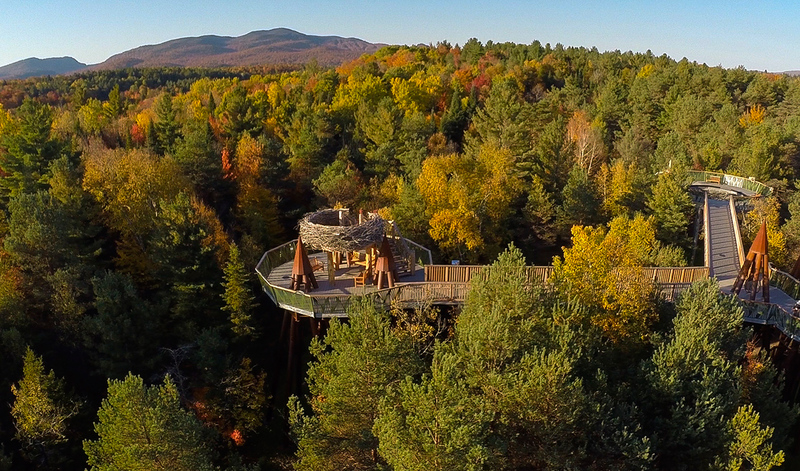 Wild Walk is an elevated trail up over the treetops, where you will see the fall colors from the same point of view normally reserved for birds and the best squirrel scramblers around. 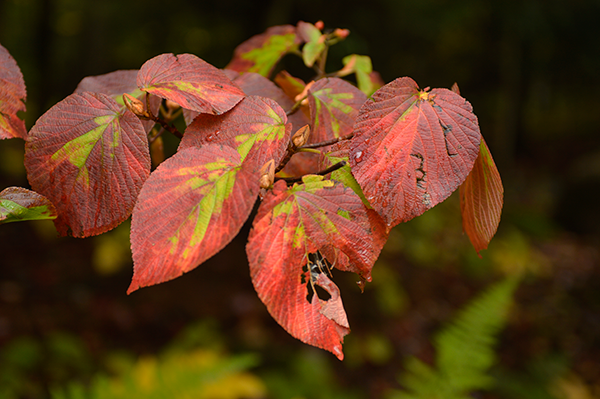 Have you ever wondered about the science behind leaf changes in the fall? 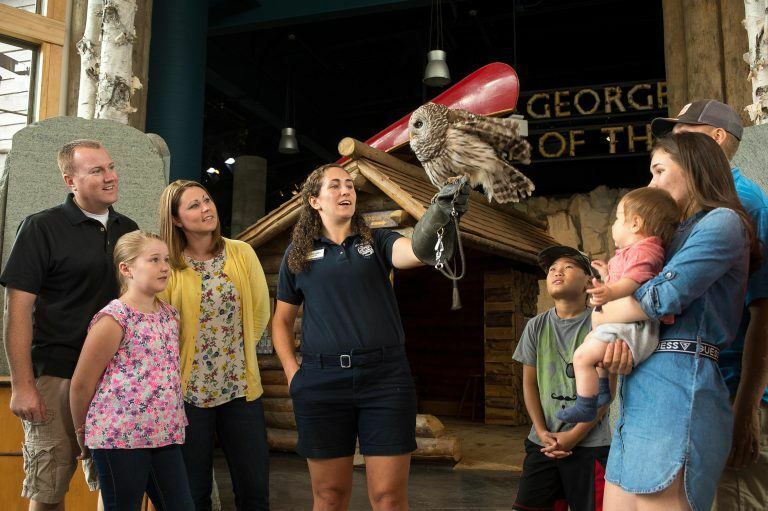 Stop by Wild Walk (open until October 12th) for special fall programming in addition to guided walks around The Wild Center property, live animal encounters, and fall inspired watercolor projects offered daily. The Wild Center campus offers many opportunities along our trail system to view Autumn at its most beautiful times. The 12-mile drive between Keene and Lake Placid offers a series of views. And the differences in elevation means that you will see color at various stages of peak all in about 30 minutes. The part we like best on this drive is when you ascend through the canyons of black cliffs at the Cascade Lakes. The lakes, dark cliffs and yellow leaves of the white birches make this stretch one that begs you to stop and shoot the light. At both the Lake Placid and Keene ends of the drive the vistas of the High Peaks are great as well. The Ski Jumps that overlook the Ausable River in Lake Placid are 25 stories high, and that’s on top of the hill where they stand. The leaves along the river rushing below you are great, and you look straight down on them and the bouldery dark river waters. The contrast between leaves and the dark river is unusual, and on misty days you get a cloud-eye view of the forest. The view to the High Peaks and the nearby farm of abolitionist John Brown offer all shades of color, even on days that are not 100 percent azure. The first two suggestions are great and on the main routes, our third suggestion is a bit quieter. Take Route 3, the main road from Saranac Lake to Tupper Lake. The road opens views across a number of scenic lakes. You will see Coreys Road about 13 miles after your leave Saranac Lake. Turn right and you will find yourself crossing a beautiful meadow and a flooded pond on your left. There are larch trees here and maple, mixing reds and golds. Turn around after you have seen the pond on your left with its yellow larch. The turnaround is only a few hundred feet from Route 3. Retrace your path and cross Route 3. This side of Coreys Road takes you to Axton Landing on the Raquette River. There are several ponds by the road, each with their own views. Turn right on the Axton Landing road and enjoy the view of this wild section of the Raquette. 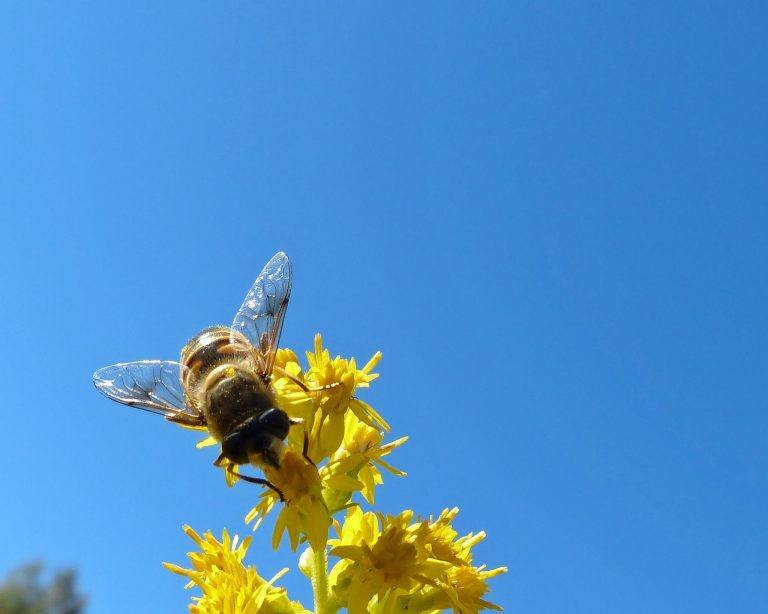 You can get back on Route 3 and continue to Tupper Lake, where The Wild Center is located. After a visit you can drive another 7 miles outside of town, on Route 30, to Rock Island Bay. There are good pull offs here, and views of mixed forests surrounding the lake. 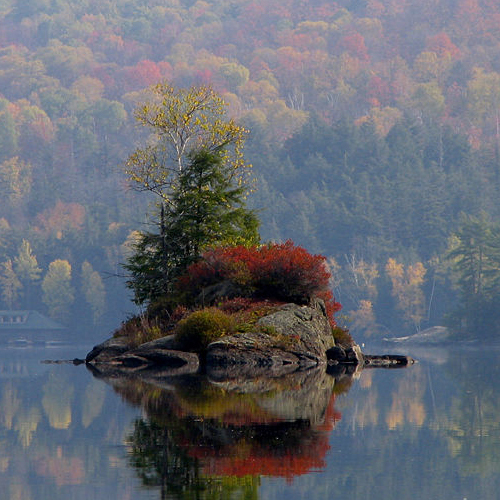 Rock Island is what it sounds like, a small island with a few trees in bright colors floating on the water, begging to be photographed in the fall. Peak color comes and goes in a day, but when that day is changes all over the park. Residents know that a 30-minute drive can mean a difference of several weeks in season because of the change in elevation. 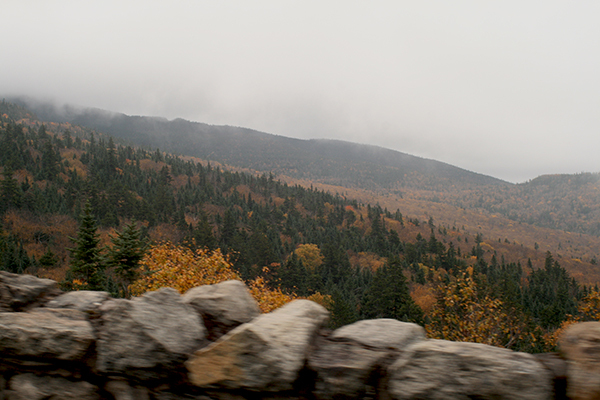 You can see those seasons fly by on this drive up the Whiteface Mountain Veterans Memorial Highway. 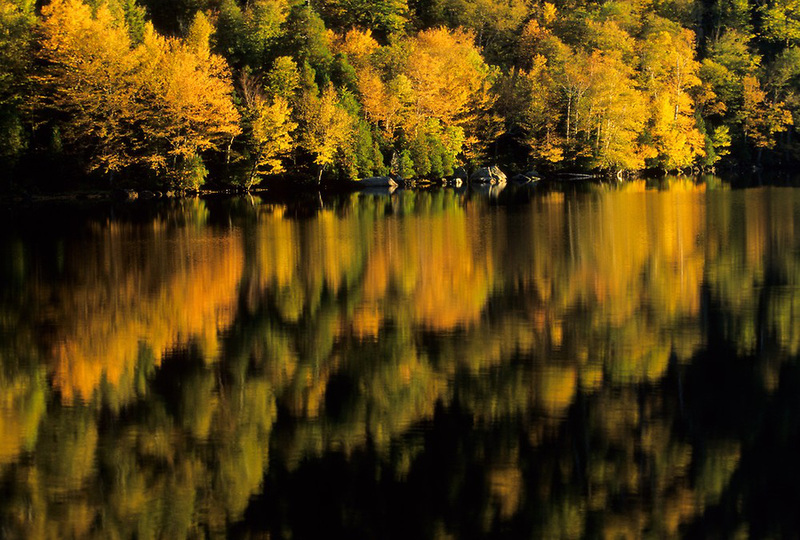 We recommend it because you will see leaves of all shades and hues, and the view down to Lake Placid and up to Montreal and over the Champlain Valley on a clear cool fall day is a view of wild colors in all directions. The tiny plants on the summit, many of them wearing a purple hue that wards off sunburn, are especially beautiful in this season. The highway has a fee. This tour will give you everything you could ask for when it comes to peak views. There are sweeping vistas, farm scenes and forests. The trip starts in Saranac Lake. You leave town on Route 86, past Lake Colby on your left and the Adirondack Medical Center on your right. Follow 86 until you get to Donnelly’s Corner Ice Cream on the left. The parking lot here offers one of the most sweeping mountain views in New York. Continue on 86 until it T’s at Bloomingdale – Gabriel’s Road, and turn right (the road is also named County Highway 55). When you get to Bloomingdale turn left at the main intersection in town, next to Norman’s General store and head out Route 3. Before you get to Vermontville turn right on Norman’s Ridge Road, and get the camera ready. 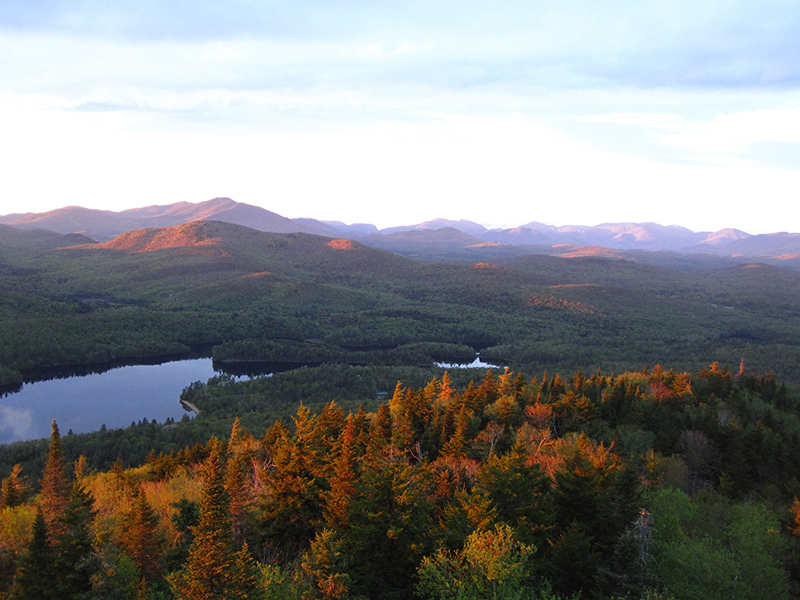 Norman’s Ridge is well known in the area for its old family farm, and its views to Whiteface. At the end of Norman’s Ridge turn left on Fletcher Farm Road, travel a short distance to Dinsmore Way, and turn right into the woods. Stay on Dinsmore until it meets at a T with Route 18 also named River Road, follow (turning left) that along the lake until you cross over the falls (on the right at the foot of the lake). You will pass over the falls and be on Route 48. Your first right will keep the name 48 and Franklin Falls Road, and this road quickly turns into 18A and takes you up, and up the back side of Whiteface, through maple forests and farm fields. This whole drive mixes vistas, water, farms and forests. It runs right by the Summit Highway at Whiteface described above. If you stay on the now named Route 431 you will come to Wilmington, (home of one of the last of the A&W Root Beer stands) turn right and you are back on 86, heading up through the spectacular Wilmingtron Notch to Lake Placid. You can continue on 86 back to Saranac Lake to complete the loop. 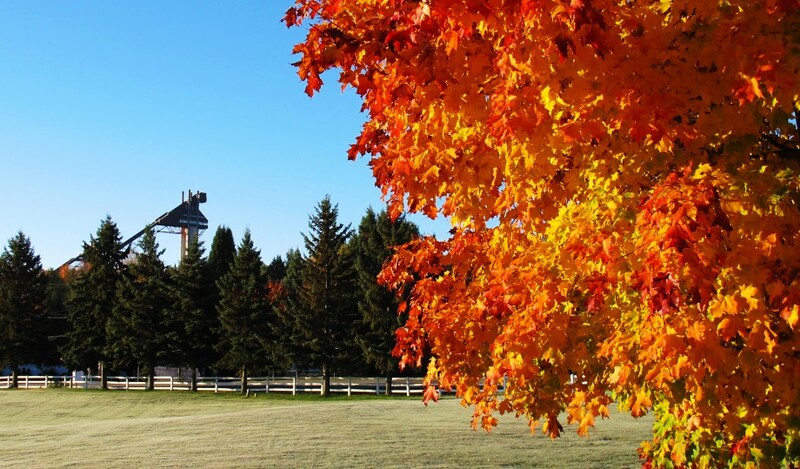 This is one place you can see flaming leaves from an actual fire tower. The two mile hike gets you a view that is mightily enhanced by the 60-foot tower on top of Goodnow. The mountain is inside the Huntington Forest Preserve owned by SUNY ESF, and the trails are especially well maintained. You can also visit the ESF Adirondack Interpretive Center near the trail head, and enjoy their trails and other offerings. You can see this live view to get an idea of the local color today. (Click or tap the image to enlarge.) 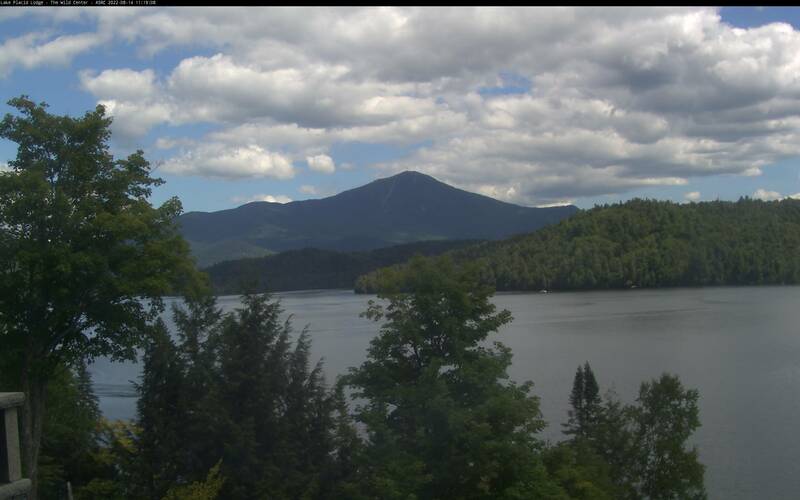 The view shows Whiteface Mountain in Lake Placid. This area peaks as much as three weeks ahead of lower elevation areas. If you are traveling in the Newcomb area, this is a live cam showing foliage in that region, courtesy of SUNY ESF. 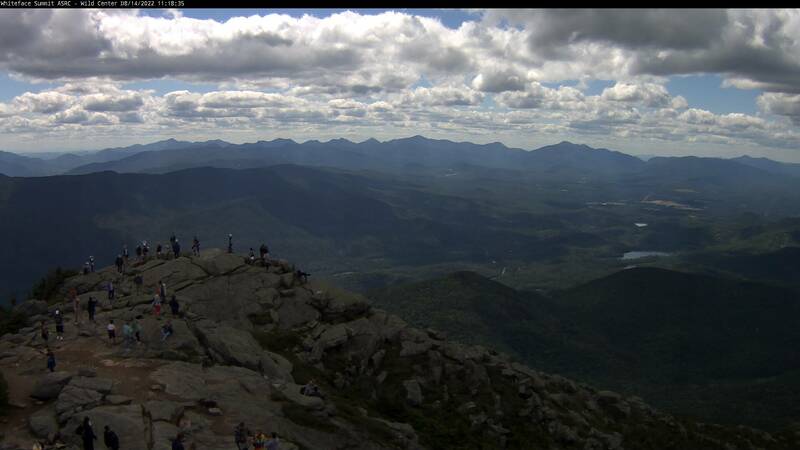 This current view is from the summit of Whiteface Mountain in the Adirondacks. Click or tap to get a full screen image. The image reloads every minute, so hit refresh to get the latest view. If you are seeing white frost it means we have had some extreme weather. If the sun and wind don’t clear the snow and frost, staff travel only once a week to the summit to clear the window. Check out the view of Whiteface Mountain instead. The mountain is the 5th highest in New York, and home to rare plants left behind by the last ice age. The view is from the observatory of the SUNY Albany Atmospheric Sciences Research Center. This view of Whiteface Mountain on the Olympic Byway is made possible by a New York State Scenic Byways Program project managed by the Adirondack North Country Association, funded by the Federal Highway Administration and administered by the New York State Department of Transportation.